As most of you probably already know, October is national Breast Cancer Awareness Month. Silhouette is very excited to be partners with the National Breast Cancer Foundation (NBCF), whose mission is to educate women about breast cancer and provide support and programs to women who have been affected. As part of our partnership, a portion of the proceeds earned from every specially marked pink product will be donated to NBCF*. Below are the five different products that you can purchase if you’d like to help support NBCF and all of the wonderful work they are doing. The Electric Pink CAMEO is as beautiful as it is bold, and it is just the thing to inspire you, especially since the NBCF Pink CAMEO bundle we are offering will directly help out NBCF. The bundle includes the Electric Pink CAMEO and all of the products listed below and is available until October 31, 2018, while supplies last. For more information, visit silhouetteamerica.com/breastcancer. The Silhouette tool kit has become a must-have for anyone who has a Silhouette cutting machine. 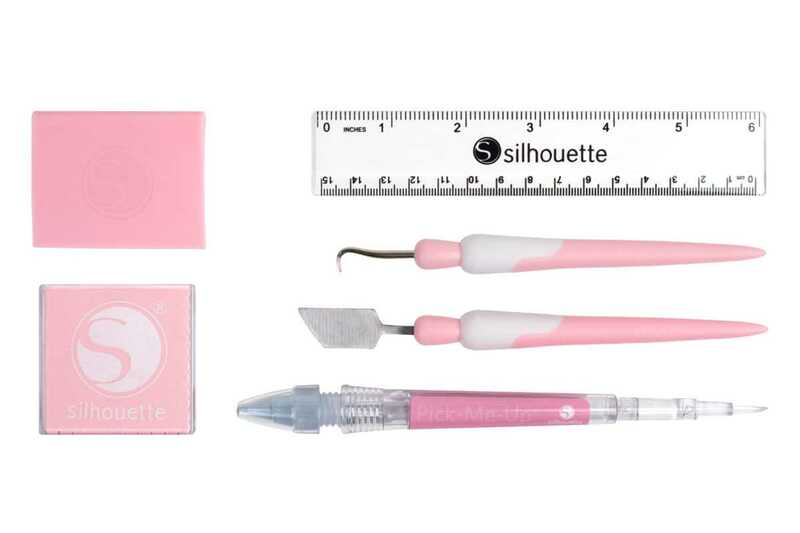 This tool kit has all the essential tools you love, but they’re pink now! Get a selection of pink vinyl with this vinyl sampler pack. 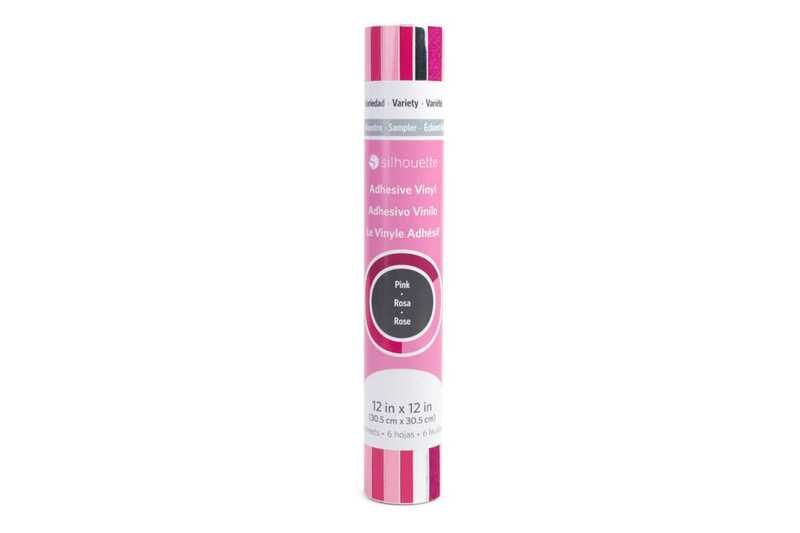 It comes with matte pink, matte dark pink, glossy pink, glossy dark pink, glitter pink, and metallic silver, so it’s great if you’re planning on making some pink projects. Take a look at this phone decal we made using the pink vinyl sampler pack. 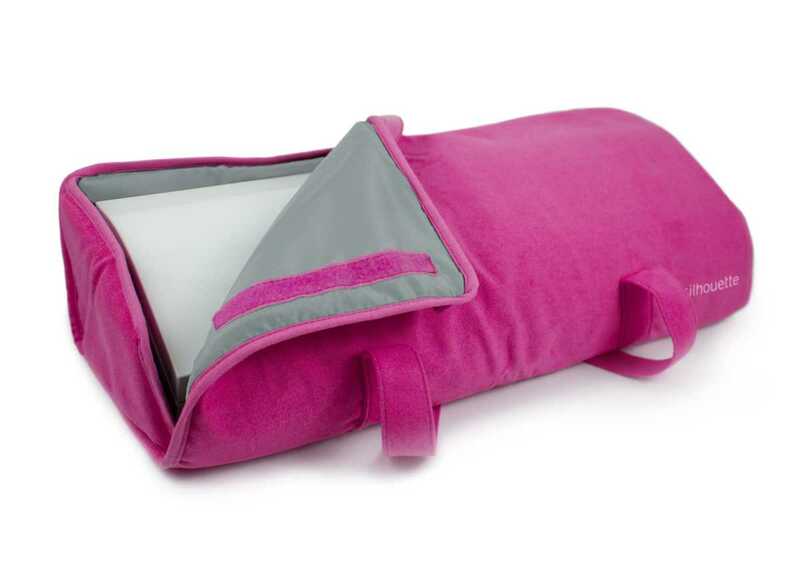 Protect your precious CAMEO when you are on the go with the CAMEO 3 tote in pink! It’s both stylish and functional, making it a great accessory. 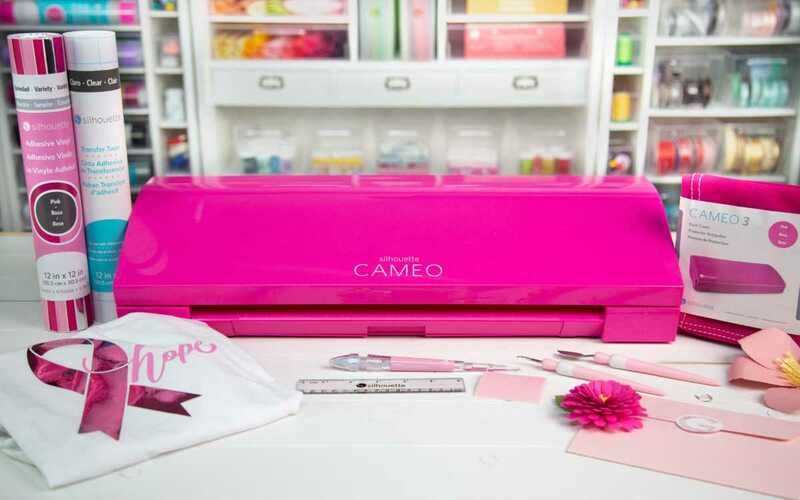 Prevent your CAMEO from getting scratched and accumulating dust with this pink dust cover. A great perk to this cover is that it is machine washable, so you can wash it whenever it gets dirty. We’re excited to offer you these products and to partner with NBCF to do what we can to help aid them in their remarkable work. To find out more information about NBCF, you can visit their website www.nationalbreastcancer.org. *Unless otherwise noted, between the months of September 2018 and November 2018, part of the proceeds earned from the pink products listed above will be donated to NBCF.